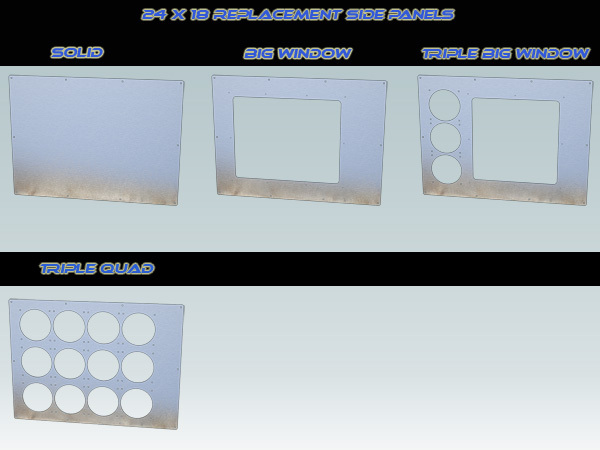 Choose from different panels to meet your individual needs. Choose your desired finish. Choose your desired acrylic color for the big window option. Mountain Mods U2-UFO Panels are manufactured in the USA with high grade aluminum materials. Approximate thickness of the panel is 2mm. The panel is approximately 23.875 x 17.875 inches with rounded edges and 10 mounting holes. Perfect for doing your own custom modifications to your Mountain Mods or custom case.